San Jose is one of the largest cities in the state of California, also known as the sunshine state in the US. The city is the focal point of economic activity in the country.The CSD training in San Jose opens up many employment opportunities for those in the IT sector. Knowledgehut offers the CSD certification in San Jose and the coaching at the institute is conducted by their best trainer. 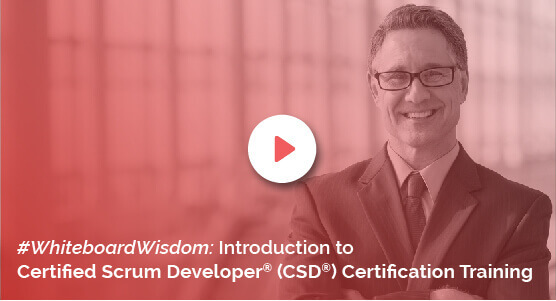 The CSD certification in San Jose is beneficial for software programmers who are building software in the scrum environment. The CSD training in San Jose helps one get exposed to the techniques and tools that are needed to be applied to build good software that the scrum requires. The CSD course in San Jose is ideal for agile software development. The training material and practice sessions conducted helps to improve one’s knowledge and enhances their career prospects. The Certified Scrum Developer training in San Jose is a detailed workshop that teaches how to apply the scrum fundamentals. The Certified Scrum Developer certification in San Jose teaches the standards that need to be set up and the best practices applied for creating quality software. The cost to register at the academy is not very steep and the basics taught by the tutor helps to prevent any impediments to the success of the scrum. Knowledgehut offers a very detailed classroom programme which is conducted through comprehensive lectures that one misses out on, if they opt for the e-learning course. To know other details and the fee to enrol at Knowledgehut, attend a demo class and find out the teaching methods.